In 1946, the World Health Organization’s (WHO) Constitution outlined a comprehensive definition of health as: “Health is a state of complete physical, mental and social well-being and not merely the absence of disease or infirmity.” This definition of health was later espoused by Canada’s former Minister of Health and Welfare, Marc Lalonde, in 1974. His seminal publication, “A New Perspective on the Health of Canadians: A Working Document,” posited that maintaining a healthy population required more than an effective healthcare system. As an alternative, Lalonde proposed the Health Field Concept: a blend of human biology, environmental factors, lifestyle decisions, and quality of healthcare services determined a population’s health. The goal was “not only to add years to our life but life to our years.” Lalonde’s publication provided the foundation for the Ottawa Charter for Health Promotion. Canada will celebrate the 30th anniversary of the Ottawa Charter on November 21, 2016. The Ottawa Charter proposed an international effort to achieve better health for all by 2000. The strategies embedded within the Ottawa Charter have advanced the health of Canadians since 2000. Interactions between the Government of Canada and the WHO, along with the creation of world-class academic institutions and vocal health-advocacy groups, have positioned Canada as a global leader in health promotion. Today, additional drivers exist to improve the health of Canadians. The role of the private sector, principles embedded in behavioral economics, and innovative personalized health technologies have emerged to complement government-led actions. 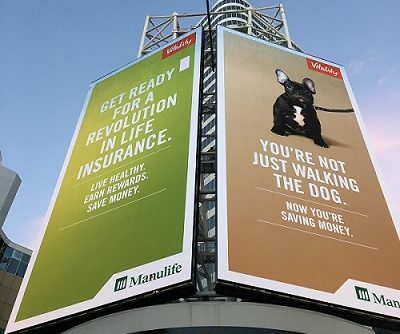 The launch of Manulife Vitality on September 27, 2016 is one example. Manulife Vitality is a health promotion program that offers rewards to individuals who live a healthier life. Manulife Vitality is pioneering shared value insurance by offering a health program that benefits policyholders, the company, and society by creating healthier people. How do you live an active lifestyle? Do you receive benefits for being active? We would love to hear from you. Tweet @VitalityUSA to learn more.